In december I will be once again be celebrating the count down to Christmas with a 24 day Christmas tutorial advent calendar! Each day I will be sharing different tutorials, including felt toys, sewing projects, recipes, printables and other fun things!! This entry was posted in Christmas Advent on November 18, 2011 by Handmade Cuddles. ARGH!! My Christmas sewing keeps getting side tracked!! I did at least make a start on gifts. I made two fabric boxes from camouflage fabric, and filled them with a selection of dutch chocolates and sweets. Later today I am cutting out and sewing two stockings for my nephews which I will also be filling with dutch candy. And I am still madly searching for ideas on what to make for the adults and need to find something fast as time is running out!! 2 weeks left till I need to send it all off!! This entry was posted in Christmas Challenge on November 16, 2011 by Handmade Cuddles. Cupcake Tote for solids-only tote challenge! Isn’t it just yummy!!! I made this cute cupcake tote for the solids-only tote challenge hosted by Ricochet and Away! and sew la vie. It was challenging making the cupcake pattern, but love how it turned out, and the little cherry is actually a brooch! 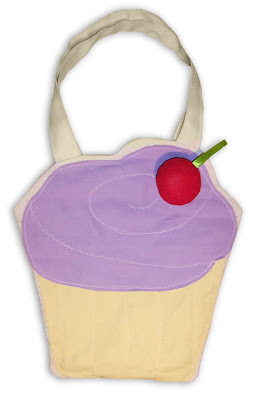 And the best bit is I have shared the tutorial to make this cupcake tote on Ricochet and Away! And this tote is also for sale in my etsy shop here. For the challenge you had to make a tote using only solid colours, and either Applique, Reverse Applique, or Patchwork. The challenge is open until end of November so there is still time for you to enter your own tote, and in December voting will start to pick the best one! This entry was posted in Tutorials on November 15, 2011 by Handmade Cuddles. After my craft fair last weekend I spent some of the week restocking my sold items. 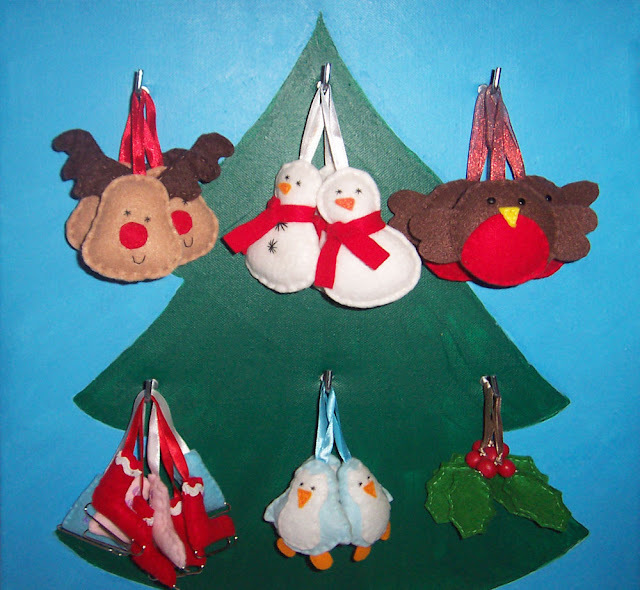 One of the things that sold well were my fun Christmas decorations so I have been making more for a wholesale order. 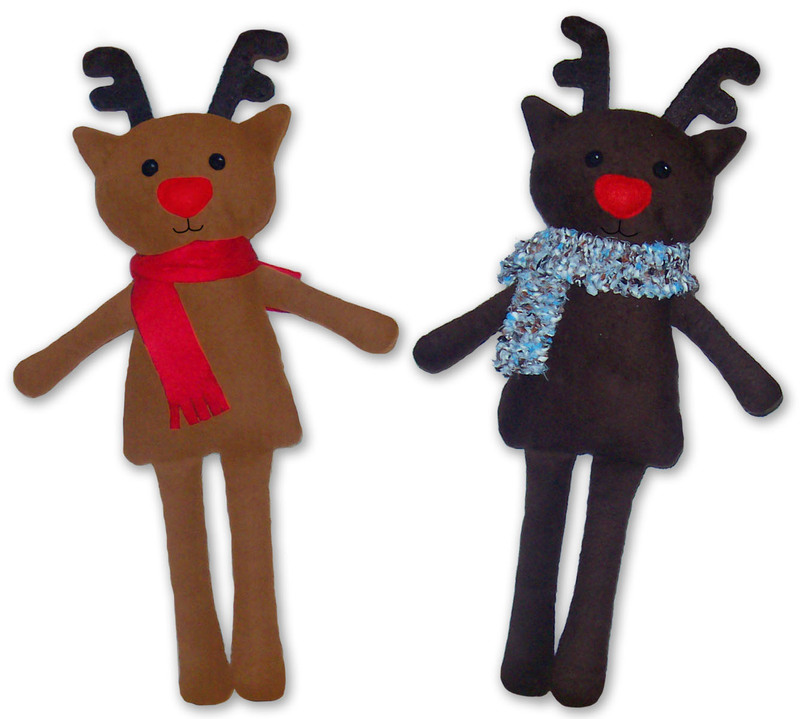 This entry was posted in Christmas on November 14, 2011 by Handmade Cuddles.